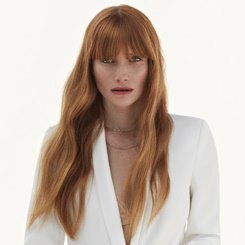 Every year, the Pantone Colour Institute announces which shade is to be honoured with the grand title of ‘Colour of the Year’ and as far as hair colour trends go, we couldn’t have been more excited. 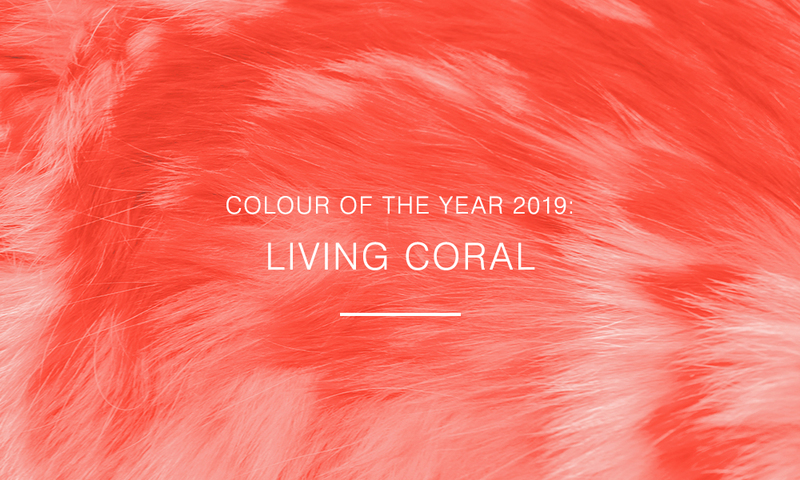 Recently Pantone revealed that they had chosen ‘Living Coral’ as their Colour of the Year 2019. For those in doubt, ‘Living Coral’ is a pink-orange shade with golden undertones, giving it warmth and depth when compared to cooler coral colours you may have seen last summer. For 20 years, Pantone’s Color of the Year has influenced multiple industries from product development right through to consumer purchasing decisions including of course hair and beauty, fashion, home furnishings, industrial design, as well as product packaging. It’s no wonder that the tail-end of each year is subject to much anticipation and excitement by the hairdressing industry and colour enthusiasts the world over. Pantone describe living coral as an “animating and life-affirming coral hue with a golden undertone that energizes and enlivens with a softer edge”. Pastel shades, including pops of coral were all over the S/S 2019 runways, most memorably we recall Marc Jacobs fluffy living coral coats and corsages. Not to mention the lovely living coral hair dye captured backstage for which our creative director Kieron Fowles had a dab hand at assisting in. 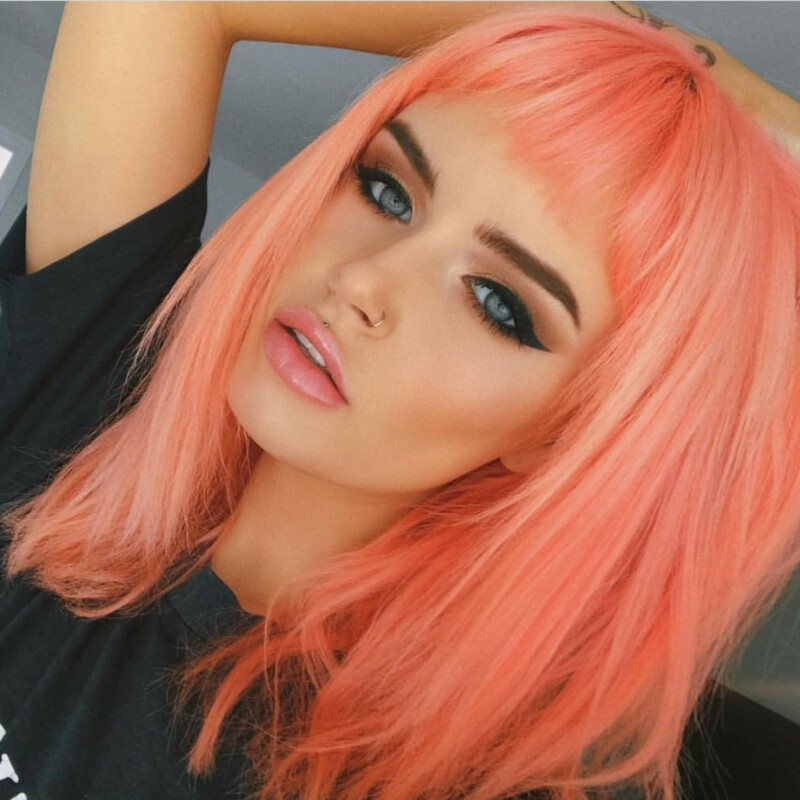 You’re probably wondering how high fashion hair colours like living coral will end up on the high streets this year. Living coral is not quite as sharp as pink and doesn’t quite pack the same punch as red, so we’re certain our guests are going to love living coral, especially those after a vibrant colour that’s more of a middle ground and adaptable hue. 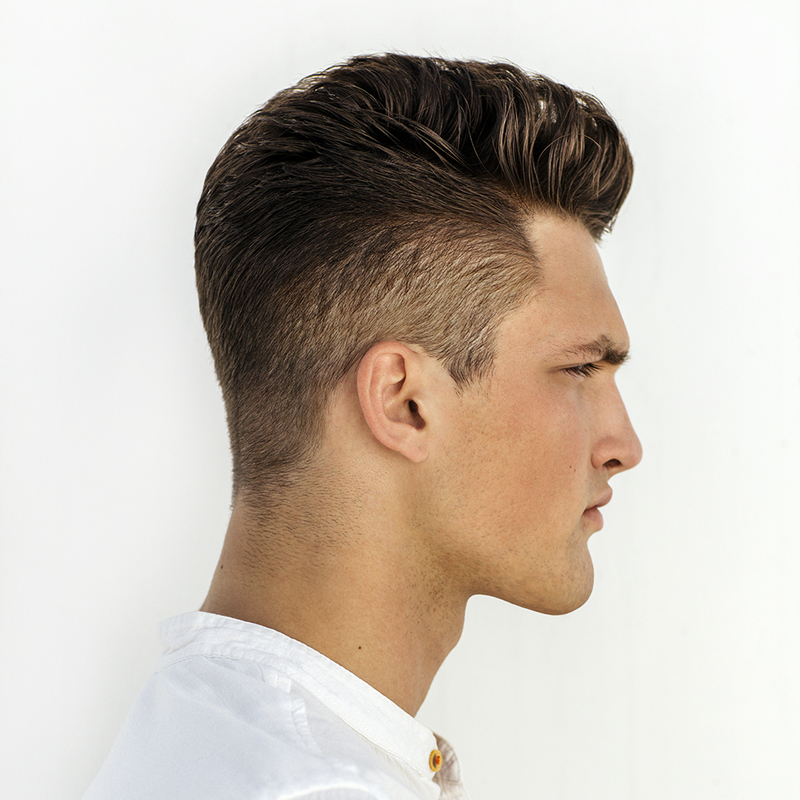 As hair experts you can trust, our job is to translate high-fashion hair trends into wearable, high street styles. So, in true Regis style we’ve put together a list of living coral hair examples we think will be all the rage in our salons, this season and beyond. 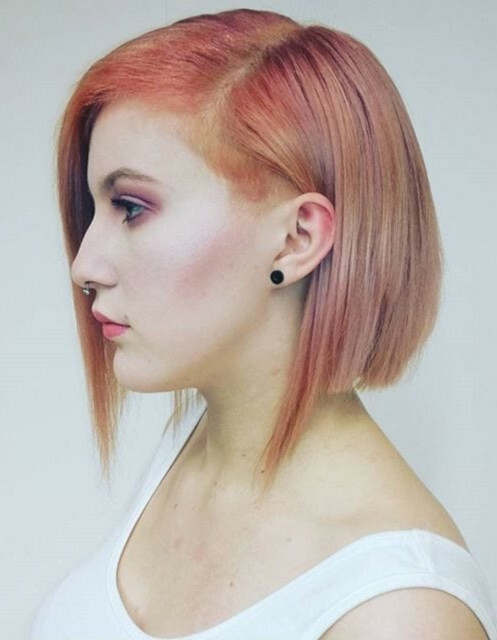 This take on living coral means waving goodbye to last year’s neon hair trends that flooded our Instagram feeds. 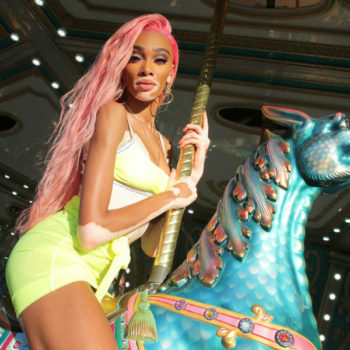 But that doesn’t mean 2019 isn’t the year for bright and vibrant hair, in fact it’s time to give a warm welcome to warmer versions of these hues. We love powdery corals like this that are still refined but with a softer, vintage edge. Opting for a matte finish is like adding a velvety filter over a typically characterful shade. If a block colour is not for you, you can rest assured that your favourite colouring technique is still very much viable with the incoming living coral trend. 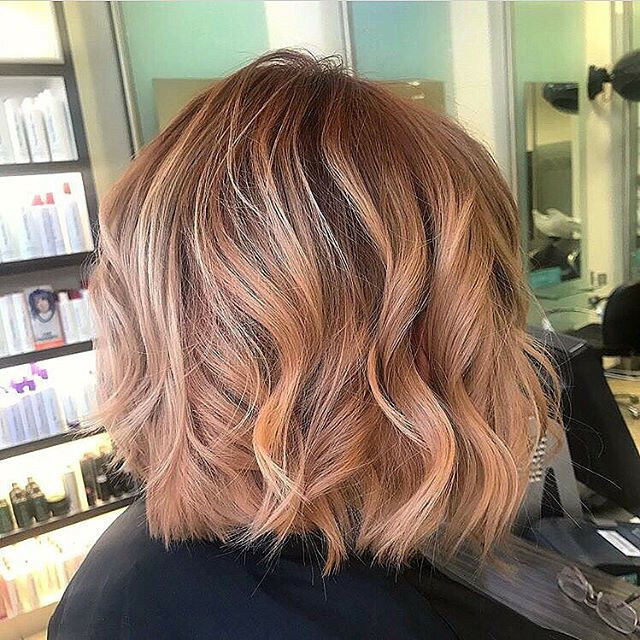 In fact, if you opt for a balayage your options to blend in different hues are so wide ranging, from pinks, oranges, fiery coppers and soft peaches that you’ll be spoilt for choice. Just be sure to book in your consultation so that our stylists can help you choose a hue that will work well with your skin tone. The great thing about the colour living coral is that it can play to cooler and warmer skin tones by blending in complimentary hues. 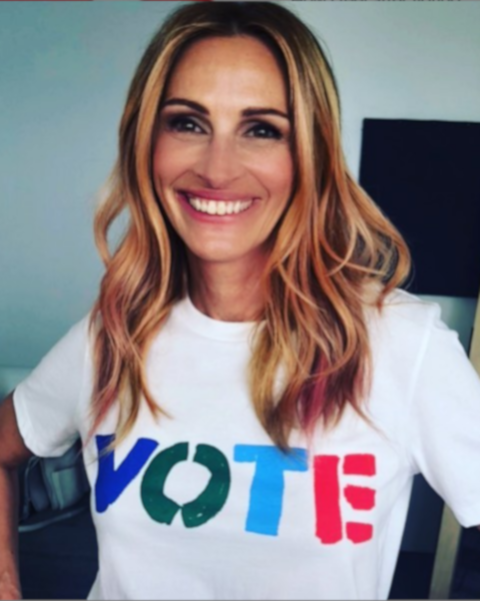 We all remember when Julia Roberts showed up with those peach-pink hues in her hair last year, sending our Instagram feeds into overdrive. We loved her look so much that we reckon a softer take on living coral will be a big hit this year. 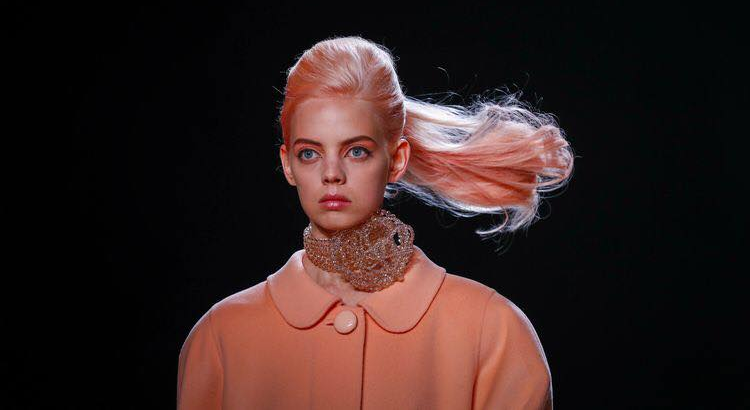 Imagine threads of peachy corals and dusty pinks perfectly preened through natural hair. This subtle technique of placing living coral in your hair is great if you’re looking to add a hint of excitement to your tresses that is wearable and not over the top. If you can’t quite say goodbye to your favourite millennial pink shades circa 2016, it’s ok, you can still be pink whilst entertaining the idea of a peachy coral. 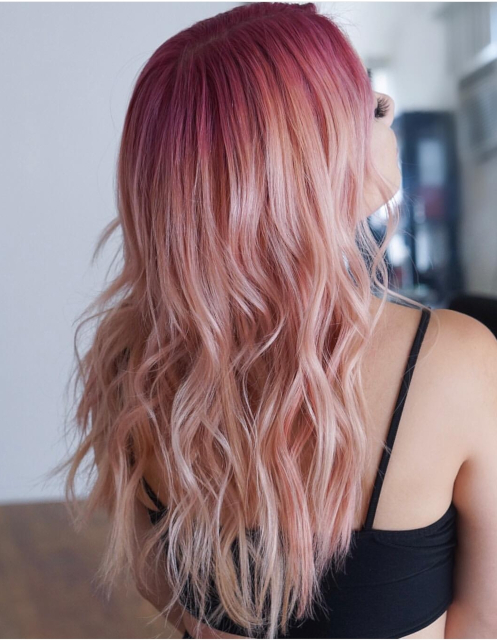 The millennial pink was described as a softer, muted version of rose gold, with the removal of any blue hues within it to give it a more sophisticated look for adults. Whilst living coral is a more playful colour, (meaning the colour placement can be playful too), tending to its peachy undertones allow you to retain other complimentary, warm hues (like millennial pink). 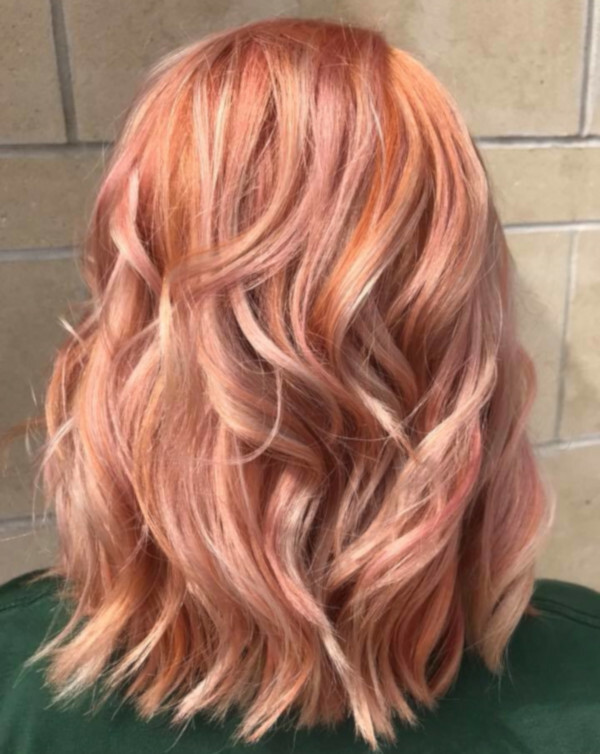 Living coral, just like pink, works best on blonde or pre-lightened hair, but if you’re a brunette you can still keep your natural colour without having to endure a drastic all over bleach transformation. 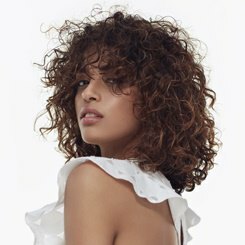 Opt for a shadow root combo with either a balayage, foil highlights, babylights or even ribbon highlights, depending on which hue you want to accentuate the most. 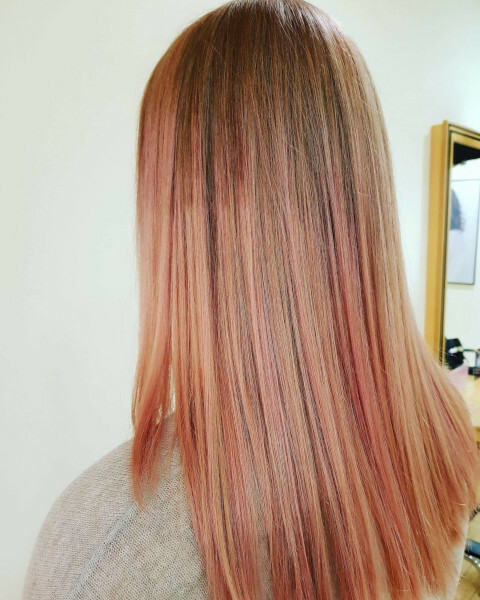 If you want our opinion, we love concentrating coral tones around the hair line and root with a soft bleed into a powdery, dusty pink. If you love peachy tones as much as us, you’ll love our take on living coral. Choose two rich, supple shades and couple them with an impeccable bleed or perfectly placed highlights; that’s all it takes to create your very own, individual living coral. 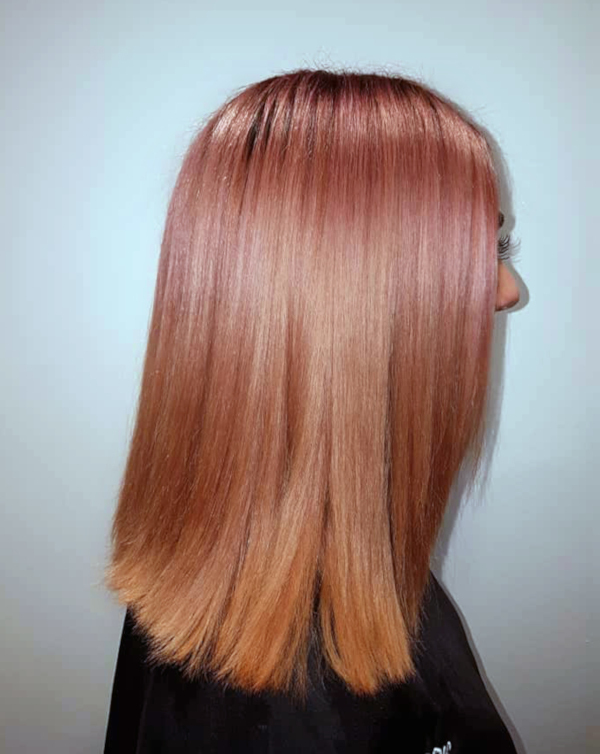 Perfect for spring-summer 2019, the peachy copper melt with subtle pink undertones does require some colour maintenance on your end (with our help of course), but boy is it worth it. 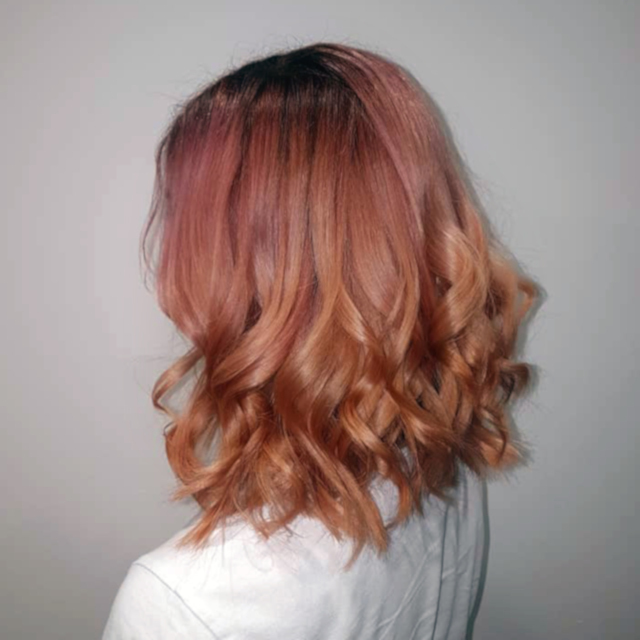 Find your nearest Regis salon and book in with our experts to get your dreamy new colour. If you picked up a Christmas card from one of our salons on your last appointment don’t forget to redeem your vouchers when you go to pay! We are also offering 30% off if you’re booking your first ever colour appointment at Regis. Hurry, as this offer is for a limited time only! Didn’t get a Christmas card? Don’t worry! You can still download your voucher here. Find out if you qualify for 30% off your first colour appointment. Share your own #LivingCoral creations with us by tagging @regisuk and we’ll share our favourite!